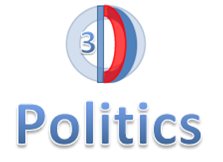 by Dr. Debra J. Campbell, Ph.D.
P1: All politicians desire power. P2: No true statesmen desire power. C: Therefore, no politicians are true statesmen. P1: For all of recorded history, the sun has appeared to rise in the east. C: So, the sun will rise in the east tomorrow. Before looking at more examples of arguments, it should be noted that arguments fall into two categories: INDUCTIVE and DEDUCTIVE. Let’s look at inductive arguments first. DEFINITION: Inductive arguments are based on reasoning from past observation and experience to conclusions about the future. Because these arguments are based on previous experience and because the future can always change, this type of argument can lead only to probable conclusions. Prediction – Five ASU students went to the bookstore to sell their books back. It’s quite likely there will be a big party tonight!! Inductive Generalization – Maria dated three men who all complained that women spend too much money on beauty spa treatments. So, all men think that women spend too much money going to beauty spas. Argument by Analogy – Barry took a logic course. He rarely attended class, rarely studied, but went to lots of parties! He received a “D” in the course. Mary is also taking a logic course, and she rarely attends class, never studies, but parties just as hard as Barry! So, Mary will probably receive a “D” in the course as well. Argument from Authority – Stephanie Myers has written several best-selling books about vampires. In her latest book, she wrote that if you are pregnant with a half-vampire baby, you will need to drink a lot of blood. So, that’s probably true. Causal Inference – Elaine’s car slowly sputtered to a stop as she was driving down the street. After pulling over and unleashing a string of curse words, she looked at the gas gauge and the pointer was below the “E” for empty. So, she probably ran out of gas. Arguments based on Signs – The sign out in front of Four Peaks Brewery warns anyone trying to use a fake identification that all fake identifications will be confiscated. After seeing the sign, the three underage ASU students decided it would be best to go someplace else. Arguments based on Mathematics – George Clooney is 56. His wife, Amal, is 39. So, George is 17 years older than his wife. Arguments based on Definition – Zac Efron is a famous Hollywood bachelor. Therefore, Zac Efron is unmarried. Hypothetical syllogism – If Bella marries Edward, then Jacob will be mad. Bella married Edward. Jacob is mad. Disjunctive syllogism – Either South Park or the PBS Newshour is a controversial TV show; the PBS Newshour is not controversial. Therefore, South Park is controversial. 5. All men are lawyers. John is a man. Therefore, John is a lawyer. ____________________________________________. Definition of Strength: An inductive argument is strong when the premises (that is, the reasons or evidence) support the conclusion in a highly probable way. So, if the premises are true, then the conclusion is very probably true as well. If, for any reason, the premises do not provide much support for the conclusion, then the argument is considered weak. Example of a Strong argument – All the previous presidents of the United States have been men. So, the next president of the United States will most likely be a man. Example of a Weak argument – Madonna was considered one of the “hottest” female vocalists of the 1980’s. Therefore, she is still one of the hottest female vocalists today. Definition of Cogency: An inductive argument is considered cogent when it is both strong and has true premises. If an inductive argument is strong but has false premises, then it is automatically uncogent. Definition of Validity: A deductive argument is valid when there is a certain conclusion necessitated by the premises based on math, or definition, or a rule-based logical relationship (as in a syllogism). Consequently, if the premises of a valid deductive argument are true, then the conclusion that follows necessarily (logically) must be true as well. If the premises of a deductive argument are true and the conclusion turns out to be false, then either at least one of the premises must be false, or the math, definition, or logical relationship is not correct and therefore the argument is invalid. Definition of Soundness – A deductive argument is deemed sound when it is both valid and has true premises. So, if the reasoning of a deductive argument makes it invalid, then it cannot be sound whether the premises are true or false. If a deductive argument is valid, but has even one false premise, then it is unsound as well. There is no example of an Invalid and Sound argument because, by definition, such an argument cannot exist. If an argument is Invalid, meaning that the reasoning process (or logical relationship of the premises to the conclusion) does not guarantee that the truth of the premises will necessitate the truth of the conclusion, then the argument cannot be sound. The definition of a sound argument is one that is VALID and has true premises. Please note whether the following arguments are sound or unsound. Remember that a sound argument exhibits valid deductive reasoning and has true premises. Whether an argument is inductive or deductive is not about how "likely" the conclusion is to be true . If you are talking about "the odds," then it is inductive reasoning. In fact, if you are using the word "probability" it is, by definition, "inductive." Deductive arguments, on the other hand, are arguments that can be presented such that, if the premises are true, the conclusion will follow NECESSARILY (not probably) based on the way the argument is constructed, that is, it is based on math, definition, or logic. Therefore, John is an unmarried man. Based on the syllogistic presentation, this argument is classified as deductive. It is constructed in the format of a valid categorical syllogism. Of course, whether any of those statements are true or false is a separate question. But IF you assume the two premises are true, then the truth of the conclusion follows necessarily (by the logical structure). There is no way to say that those premises are true and the conclusion is false without admitting that one of the premises must be false. That is the definition of deductive validity. This argument is not a "syllogism" but it is "deductive" because it is an argument based on the definition of "bachelor." If the definition is correct, then the argument is valid. If the definition is wrong, such as, "this object has four sides, therefore it is a triangle," then that argument is still deductive (the reasoning is still based on an argument by definition), but now it is invalid because the definition is incorrect. There were 25 students on my roster. I removed 5 students from the roster. Therefore, there are 20 students remaining on my roster. This is deductive, because it is an argument based on mathematics. Assuming all of those statements are true, the conclusion will be true necessarily based on the math. There is no way to avoid the truth of that conclusion without saying that either the math is wrong, or one of the statements is false. Again, that is what we mean by deductively "valid." But, if I say something like, "last time I saw John he was unmarried, therefore I think he is a bachelor," that is actually inductive reasoning, because I am basing it on past experience and predicting something about the future. Even though this sounds a bit like an argument based on definition and therefore "deductive," you have to carefully consider the wording and this person is arguing that "the last time I saw John he was unmarried," and then draws the conclusion about his marital status today, so that is inductive reasoning. At best, that conclusion only follows probably, and not necessarily. Make sense? The wording of the argument can make all the difference. Smoking is bad for you. So, if you keep smoking, you will probably get sick. That's inductive. It's a prediction. Therefore, you are doing something that is bad for you. That's a deductive categorical syllogism. If the premises are true, then the conclusion follows necessarily. If you continue to smoke, you are more likely to develop lung disease. Therefore, you are more likely to develop lung disease. This is a valid hypothetical syllogism (based on if/then reasoning). It's all in how you state your argument. To summarize, if your reasoning is based on past observation and experience, then it's inductive. To be "deductive" it must be based on math, definition, or presented in a formal manner following the rules of categorical or propositional logic.